Jewelry. That word alone has so many meanings to me. It can symbolize Love and Commitment, as in a wedding ring. It can hold honor and memory of a departed Loved one as in the Breast Cancer Support pin I wear every day. Jewelry can be a talisman to give the wearer confidence when confidence is lacking. Or, it can be just plain FUN! Adorning ourselves has been done since we were still living in caves and I don’t see it stopping anytime soon. Jewelry has become our plumage. 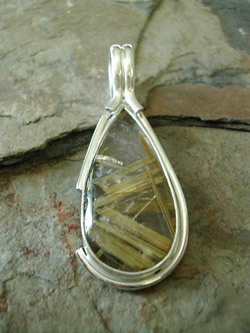 I only use natural stones, the more unusual the better. Each piece is unique and special to me. I hope that you will enjoy my creations as much as I had creating them.